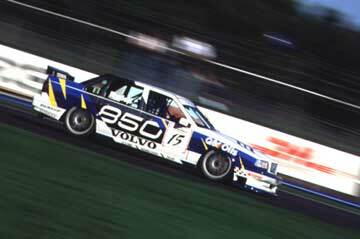 This section provides a quick historical re-cap of the Volvo touring car outings involving the 850 T-5R. 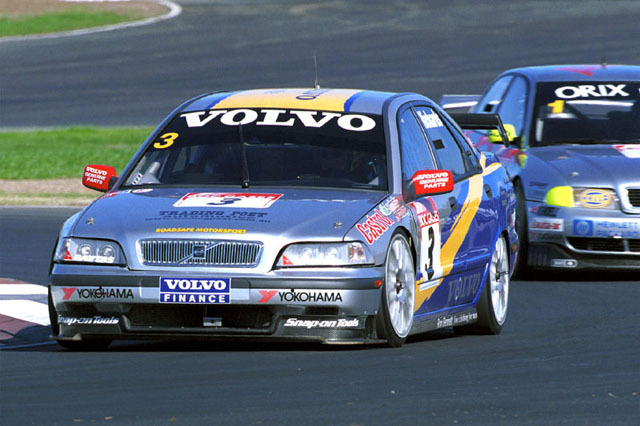 Although Volvo switched to S40s in 1998, and then withdrew from BTCC they have never been completely away from motorsport, continuing to race in several European events. 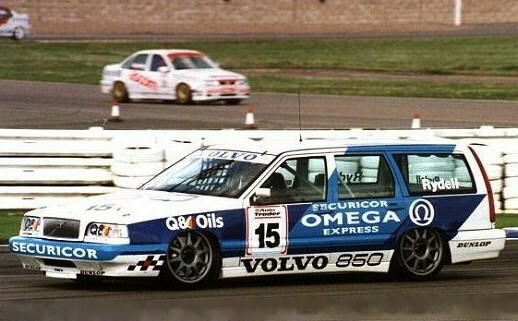 In a sensational publicity coup, Volvo entered the British Touring Car Championship with the 850 Estate. 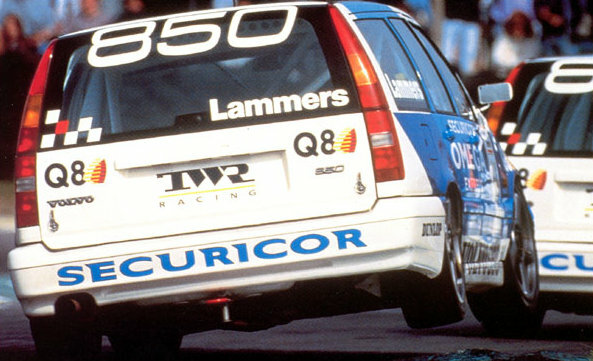 Built, as all the Swedish make's Super Touring racers would be, by TWR, it allowed a learning year in the hotly competitive arena, with no outside expectations of race wins and a lot of attention wherever the team went. Experienced Dutchman Jan Lammers, a Le Mans 24 Hours winner with the TWR Jaguar squad, was signed as lead driver, with Swedish single-seater ace Rydell as his back-up. 'I was a bit of an unknown in touring cars, but touring cars were unknown for me as well', remembers Rydell. 'I had never raced a front-wheel drive car. I was lucky because I struck up a good relationship with my engineer John Gentry [who would go on to design the 850 saloon racer and the early S40]. The Estate was perhaps not the best car, but it was the right thing to do at the time'. 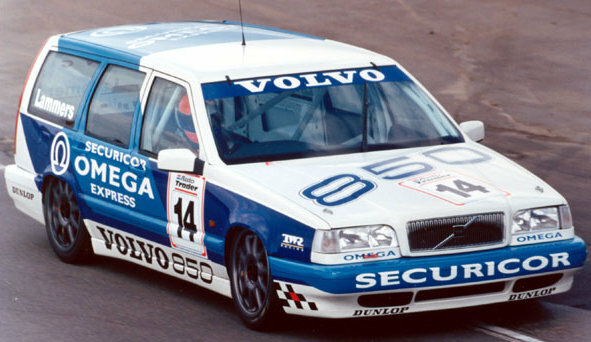 Volvo switched to the 850 saloon, which Rydell took to a record number of BTCC pole positions and third place in the championship. 'We were on Dunlop tyres', recounts Rydell, 'and they were very good in qualifying, but they didn't last very well over a race distance. We were close to winning the championship anyway. Then I got taken out by John Cleland at Brands Hatch'. Tim Harvey, the 1992 champion, backed up Rydell that year and took a fine fifth in the title chase. 'I learnt quite a lot from him', the Swede declares. 'He's a very fun guy, really good with the sponsors and team and good at motivating the mechanics. He was always up there. Of all my team mates at Volvo I would put Tim in front'. There was a switch to Michelins for this year, but the end result was the same, Rydell taking third in the series. Newcomer Audi had blitzed the series with its four-wheel-drive A4, and the boxy shape of the 850 was beginning to tell. 'There was a lot of development going on and the Volvo was quite big compared to most of the other cars,' explains Rydell. 'They all improved more than we thought they would, especially the championship winning Audi'. Sadly for Harvey, his career had taken a downswing with a move to Peugeot, his replacement coming from Ford. But for newboy Kelvin Burt it was a tough time at TWR. 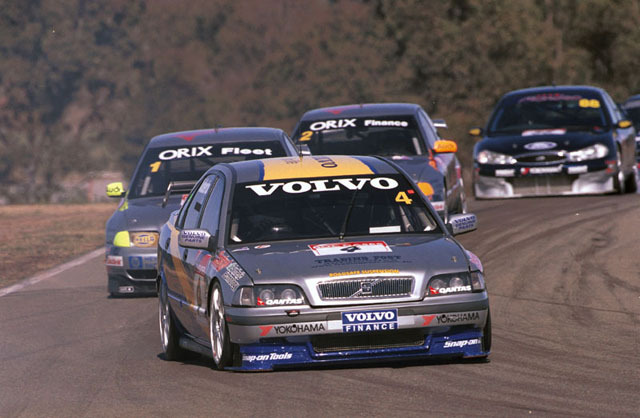 He took Volvo?s first win of 1996 at Silverstone, but then had a massive accident at Oulton Park which he was lucky to survive. Even now the Briton admits he returned to the cockpit too soon, and he was put well into the shade by his team leader thereafter. 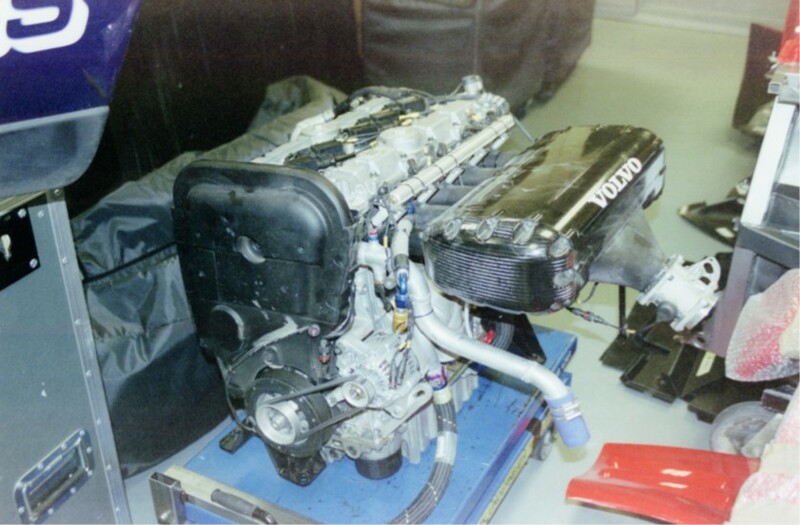 The svelte S40 replaced the 850 and was instantly heralded as a potential '97 champion when it made its test debut in September '96, but Rydell refused to get carried away. 'A lot of cars went faster that year and Alain Menu was very quick and won the championship. It's always the case when you build a car for the first time - you're not going to get 100% out of it because you notice things that you could have done better, which we did with the S40'. Nevertheless, fourth in the championship brought reward after a difficult season marked by the departure of Gentry, who was replaced after designing the car by his former TWR understudy Brendan Gribben. Burt had a good start to the season with a podium finish at Donington, but never made the top three after that and moved to the Japanese racing scene for 1998. 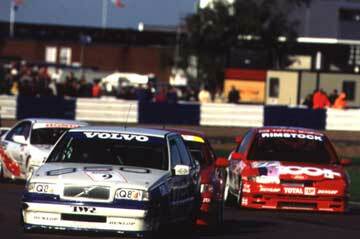 The 1998 season was a real 'tour de force' for Rydell and his Volvo S40. The Swede won the BTCC crown, then took victory in the classic Bathurst 1000 endurance race at Australia's mighty Mount Panorama circuit, sharing with veteran local hero Jim Richards. After that season Volvo discontinued their BTCC efforts. 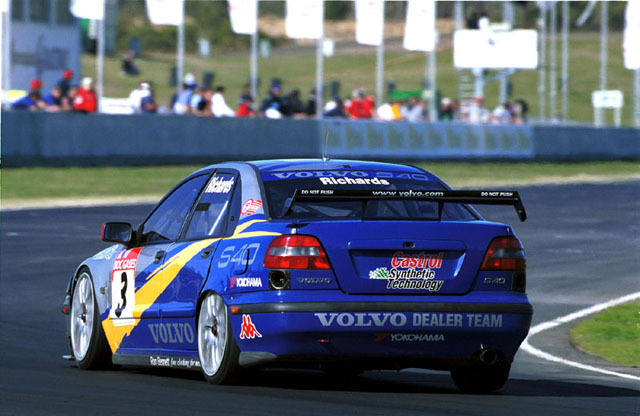 The later S60 racers were built by ProDrive for a one make championship in Sweden in which Rydell and Hanson drove for Volvo. It is one of these cars that Kalmar Union bought, and raced in the EERC series with Don Norchi & Piers Johnson driving.